At some point between reading an ad for Quip toothbrushes and referring to aborted fetuses as “children slaughtered over the decades,” rightwing commentator and recurring boil Ben Shapiro has centered the abortion debate on the true issue at hand: Would you kill baby Hitler? In a speech at the anti-abortion March for Life rally in Washington D.C.—which Shapiro capitalized on as an ad-supported podcasting opportunity—Shapiro brought up baby Hitler and laid to rest the age-old debate with impeccable logic. “The argument I guess here is: Would you kill Baby Hilter?” he asked. “And the truth is that no pro-life person on Earth would kill baby Hitler. Right, because baby Hitler wasn’t Hitler. Adult Hitler was Hitler. 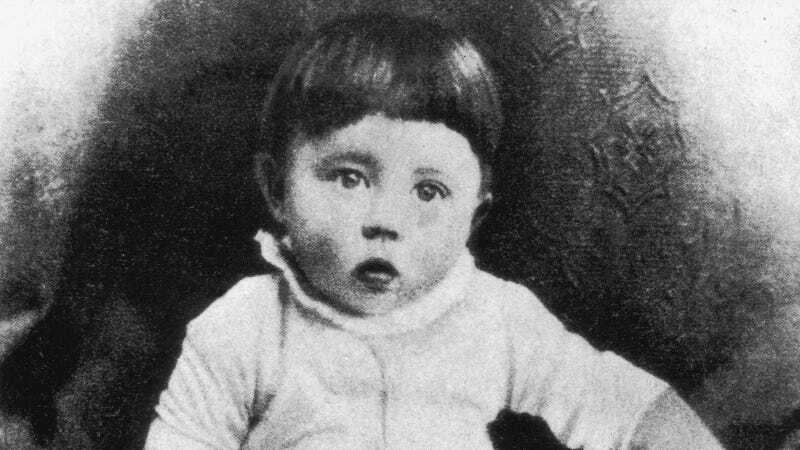 Baby Hitler was a baby. What you’d presumably want to do with baby Hitler was take baby Hitler out of baby Hitler’s house and move baby Hitler to a better house where he would not grow up to be Hitler.” My mind has been blown, though probably not for the reasons Shapiro intended. It is a message sponsored by Quip toothbrushes, ZipRecruiter and, I guess, implicitly endorsed by Vice President Mike Pence, since he agreed to appear on Shapiro’s cursed podcast/speech. Pence assured the crowd, via phone, that he’s committed to ending abortion in their lifetime. Shapiro, by the way, was until last week a fan of white supremacist Rep. Steve King, the congressman who last year visited with Nazi empathizers in Europe. There you have it: the newest stance of the pro-science, anti-science, pro-life, anti-reproductive rights crowd is that time-travelers should move baby Hitler to a new home. Jeb Bush, by the way, disagrees.